The takeover of Pelwatte Sugar Industries Plc by the previous Government has left a lingering bitter taste for an otherwise cheerful Distilleries Company of Sri Lanka Plc (DCSL), a top executive said yesterday. “When we look at our investment experience on the whole, it has been very rewarding, barring perhaps one unfortunate incident where Pelwatte Sugar, in which we invested, was taken over by the State under the revival of underperforming enterprises or underutilised assets Act of No 43 of 2011,” said DCSL’s Alternate Director and investment arm Melstacorp Managing Director Amitha Gooneratne said. “That acquisition by the State has put about 3,000 shareholders in a state of limbo. Today none of the shareholders have been compensated. But apart from that our experience has been richly rewarding because DCSL’s investments have grown and it has added to our strengths,” he said, following the ceremonial bell ringing at the Colombo Stock Exchange. DCSL became the latest listed entity to participate in the ceremony to inaugurate the first trading day of the month, drawing firms from the S&P SL 20 Index. Gooneratne also said that though a Compensation Tribunal was appointed no compensation had yet been paid. “The value of the compensation has not been calculated and it may value on the average share price. 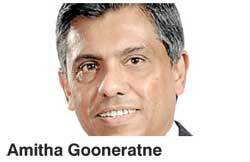 We hope some clarity regarding this untoward situation would be forthcoming in the near future,” Gooneratne added. In March 2013 Commercial High Court of Western Province (Colombo Civil) issued a winding-up order of Pelwatte Sugar Industries Plc as well. The DCSL Group is among the top five corporate conglomerates in Sri Lanka with market capitalisation in excess of Rs. 84 billion and has invested significantly in listed companies through the CSE. The DCSL Group manages one of the country’s most successful, diversified blue chip portfolios spanning beverages, telecommunications, plantations, hotels, textiles, financial services, creative and media services and logistic services. In FY15, Distilleries’ bottom line was Rs. 2 billion, up by 66% over the previous year. The group has made investments in the beverage sector to enhance efficiency and quality by installing an ultra-modern blending and bottling plant. The group firmly believes that these futuristic investments will pay off in the coming years. “We have not planned on a particular sector as yet but we definitely look at our investments opportunities from time to time and if it does make sense for us then we would consider,” Gooneratne noted. Commenting on growth expectations, he stated that they would focus more on their core business to perform better than last year and apart from that Aitken Spence, Hydro Power and their Finance arm are performing quite well. “The distillery has its own space of growth, but volume wise it has not increased. Revenue will increase if the excise duty increases, allowing the top line to grow up, but consumption per say would not increase,” Gooneratne said. He said that the performance of DCSL had been quite encouraging compared to previous years and overall the group was expecting a better year.